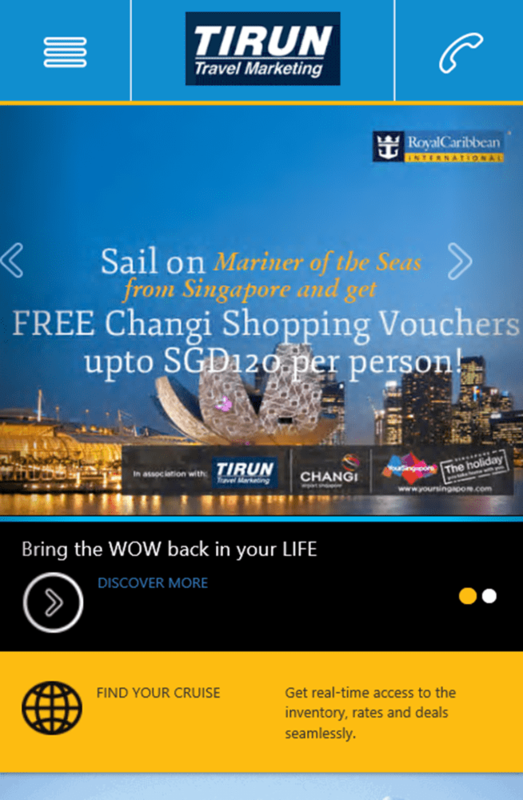 eading the way once more in the realm of technology and solutions for Cruising in India, TIRUN Travel Marketing has developed and launched a mobile site. This move was spurred on account of the visitation pattern on TIRUN Travel Marketing’s website wherein 40% traffic was observed to come from mobile and tablet users. TIRUN developed the mobile site in-house with an experienced team of professionals. Designed to be light for quick loading, the content is concise and relevant, making it easier and faster for the user to access. 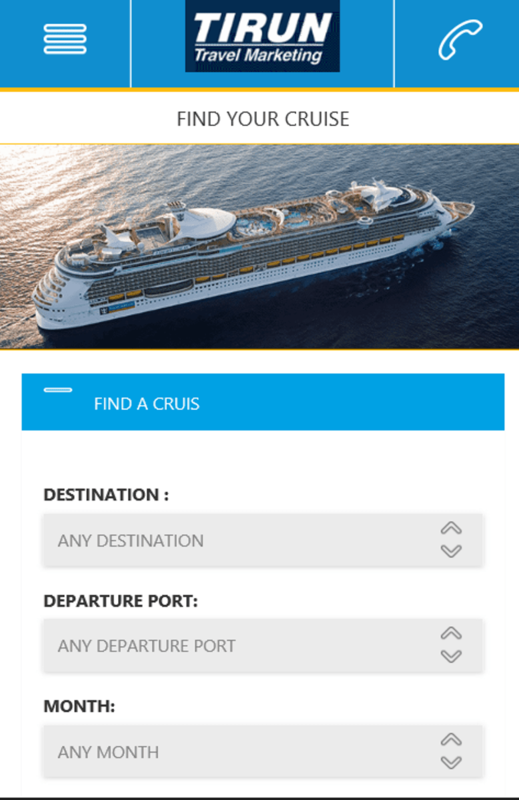 All basic information that is available on the TIRUN website for its three brands -Royal Caribbean International, Celebrity Cruises and Azamara Club Cruises, have been retained on the mobile site without compromising content or information in any manner. The mobile site is intuitive and interactive, easy to navigate with a seamless flow, making for a wholesome user experience. Earlier technology initiatives rolled out by TIRUN include an API (application program interface) and a White Label Solution that provides agents and customers the benefit of real time price, inventory and booking facilities. 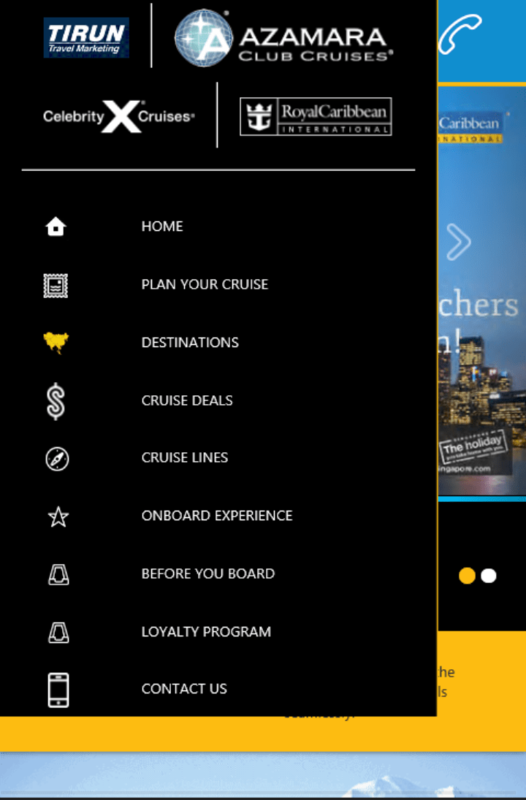 These digital solutions are an endeavor on our part to enhance convenience for our travel partners as well as the end customers, to get easy access to itineraries, availability and pricing for booking the cruise of their choice. Mobile internet users in India are growing at a rapid rate on the back of growing smartphone penetration. Having a mobile site has become crucial to target the relevant customers and accelerate business growth. TIRUN Travel Marketing is the exclusive India Representative for Royal Caribbean Cruises Ltd. with a portfolio of 3 of its cruise brands including Royal Caribbean International, Celebrity Cruises and Azamara Club Cruises. A leading travel marketing company, TIRUN Travel Marketing has been representing Royal Caribbean Cruises Ltd. in the country since 1993 and continues to successfully undertake exclusive marketing and sales for the various brands while also providing operational support pan-India. Headquartered in New Delhi, the company has proprietary offices in Mumbai, Ahmedabad, Bangalore and Chennai as well as representative presence in Kolkata. Recognized as India’s premier cruise counsellors, in 2013, TIRUN Travel Marketing celebrated 20 years of its partnership with Royal Caribbean Cruises Ltd. in India.For more details, please feel free to call me anytime. Super Root Android Review- Easy & Secure One-Click Root Tool! Digitize Your Love This Valentine’s Day With These 6 Apps!